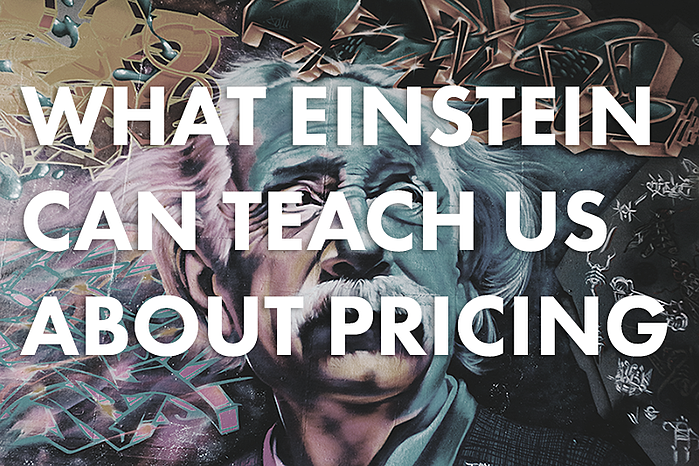 What can Einstein tell us about pricing accountancy services? In his words, “Strive not to be a success, but rather to be of value.” Those two concepts needn’t be mutually exclusive, but his words provide a useful insight into where you should focus your pricing strategy – value. There are many reasons why value offers a better foundation for your pricing model, and it starts with you. The expertise a skilled bookkeeper or accountant brings isn’t measured in time – it is measured in results. And it’s the results that your clients want. Value-based, fixed-fee pricing allows you to effectively match the service you offer to your clients according to the benefits you bring to their business. After all, we all want to be paid what we’re worth, and you’re worth more than what a ticking clock says. Fixed-fee pricing offers a certainty for all parties. The client knows what bill to expect, the accountant or bookkeeper knows how much is coming in. Both can budget effectively with clarity for the future. There are no nasty surprises and incentives are clear – your only motivation is to add the value that they have been promised. Meanwhile, the client has every incentive to help, whether that means submitting information regularly or just not losing receipts. And certainty breeds trust. There is no whisper of a conflict of interest, no fear of a job being dragged out for a longer fee, no client avoiding meetings lest they be charged. Your role becomes that of a trusted advisor, not a by-the-hour burden. The final nail in the coffin of time-based pricing is the fact that a minute just doesn’t mean what is used to. As new technology allows accountants and bookkeepers to automate many of the most time-consuming tasks – let’s face it, who’s going to miss data-entry? – time ceases to be an effective measure of the work being done.